Day 1 - Arrive Dublin Airport. You will be met on arrival by a chauffeur-driven limousine and transferred to your hotel in Dublin city centre – The Merrion Hotel, Merrion Street, Dublin 2. Trinity College; The National Gallery of Ireland; The National Museum; Dublin Castle & State Apartments; St Patrick’s Cathedral; The Guinness Storehouse; The Old Jameson Distillery. 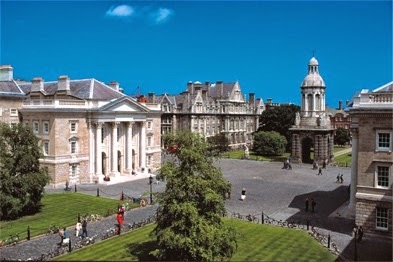 Trinity College, the University of Dublin, was founded in 1592. The magnificent Old Library, built between 1712 and 1732 houses the Book of Kells at ground level and upstairs is the Long Room, which has a vaulted roof and upper gallery bookcases. It houses 200,000 of the oldest books. 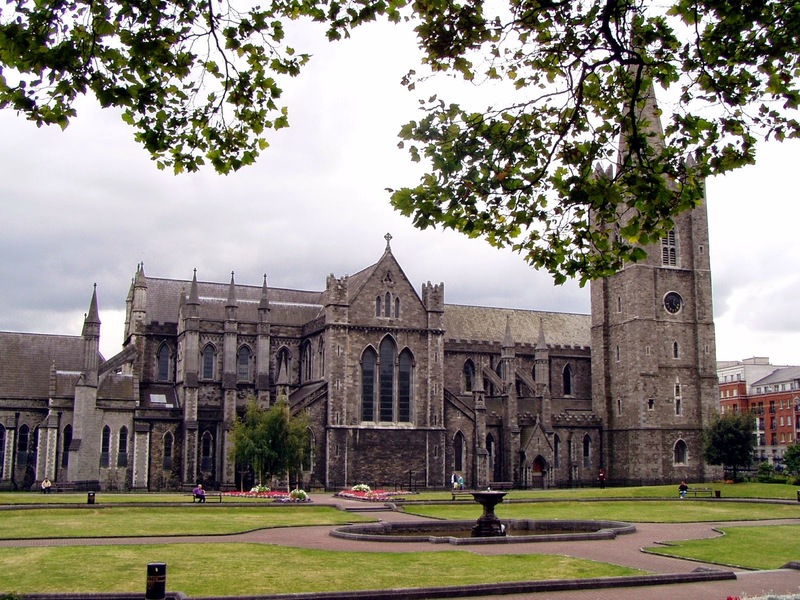 St Patrick’s Cathedral was consecrated in 1192. Jonathan Swift, the satirist and author of Gulliver’s Travels, was Dean of St Patrick’s from 1713 until his death in 1745. 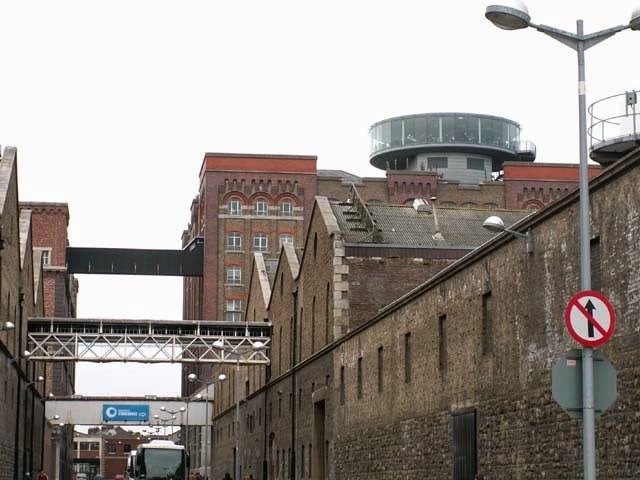 The Guinness Storehouse & Gravity Bar are located in the Guinness Brewery one of Europe’s largest and where the famous Guinness Stout has been brewed since 1759. The Storehouse is a virtual museum and the tour ends in the Gravity Bar, which is built on top of the storehouse and offers 3600 views of Dublin City. For dinner this evening, there is an excellent 2* Michelin restaurant beside the hotel – Restaurant Patrick Guilbaud, and a wide selection of other excellent restaurants near the hotel, including some Indian restaurants. Enjoy more touring around Dublin with your private driver/guide, visiting such places as Malahide Castle in North County Dublin, or Glendalough and Powerscourt House & Gardens in Co Wicklow, to the South of the city. 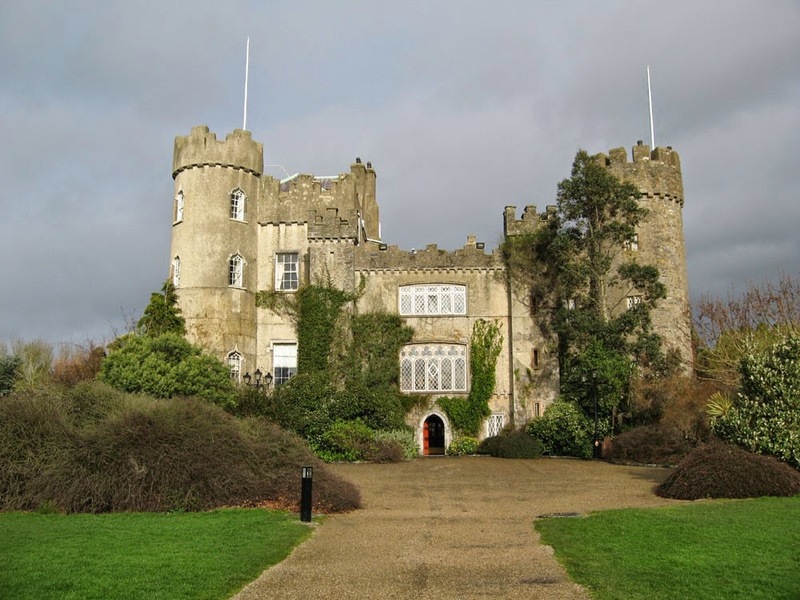 Malahide Castle is situated north of Dublin city. The castle was the home of the Talbot family for nearly 800 years. Set in 250 acres of parkland, it is an interesting mix of architectural styles. The Talbot family lived here from 1185 to 1973, when the last of the family of the Talbot’s emigrated to Australia. They donated the house and lands to the Irish Government. The house is furnished with beautiful period furniture together with an extensive collection of Irish portrait paintings, mainly from the National Gallery. The history of the Talbot family is recorded in the Great Hall, where portraits of generations of the family tell their own story of Ireland's stormy history. Many additions and alterations have been made to this romantic and beautiful structure, but the contours of the surrounding parklands have changed little in 800 years, retaining a sense of the past. 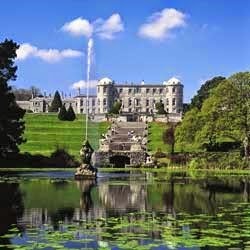 Powerscourt House & Gardens are located on a 1,000-acre estate in county Wicklow. Powerscourt House is a great 18th-Century house, which was devastated by fire in 1974, but is being lovingly restored. The Gardens are one of the finest gardens in Europe. The property is filled with splendid Greek and Italian inspired statuary, decorative ironwork, a petrified-moss grotto, lovely herbaceous borders, a Japanese garden, a circular pond and fountain with statues of winged horses, and the occasional herd of deer. Visit the wonderful Avoca shop selling their famous woollen throws as well as other top quality Irish crafts and clothing, located in Powerscourt House. You will be collected from your hotel by a driver/guide and transferred from Dublin to County Limerick, approx. 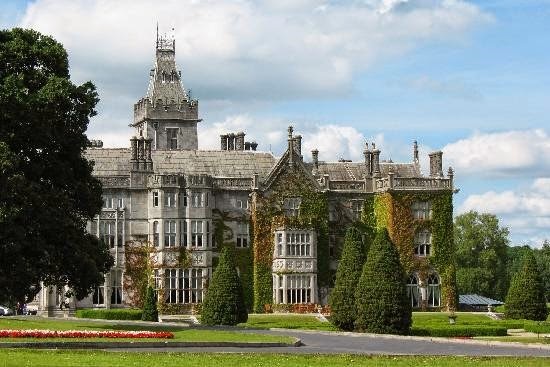 3 hours drive, where you will stay in the luxurious 5* Adare Manor Hotel, formerly the home of the Earls of Dunraven. This hotel is situated in the lovely village of Adare. The hotel has an excellent fine dining restaurant, and Adare is just a half hour drive from Limerick City where there some excellent restaurants, including Indian restaurants. Today you will take a day tour to Killarney in County Kerry where you will see the majestic Kerry mountains and Muckross House & Gardens, including the beautiful lakes of Killarney, in the National Park. 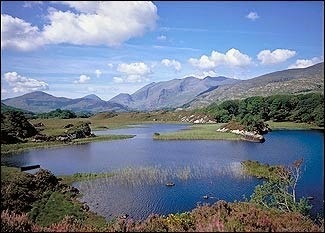 Set amid beautiful lake and mountain scenery, Killarney has been in the tourism business since the mid-19th century. The famous lakes are close to the town. 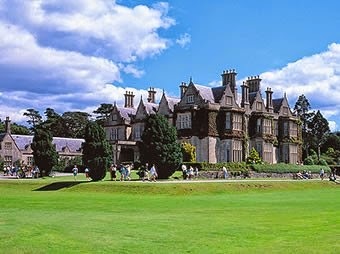 Muckross House was built in 1843 in Elizabethan style, and was given by its owners to the Irish state in 1932. It is part of the Killarney National Park, and open to the public daily. Queen Victoria stayed here during her visit to Ireland. Return to Adare Manor for a second night. Today you will be driven from Adare to Maynooth in Co Kildare, where you will check into the wonderful 5* Carton House. This is and ideal location for your trip to Dublin airport tomorrow for your return flight. With a history spanning more than eight centuries, Carton Demesne has seen many changes in its lifetime. 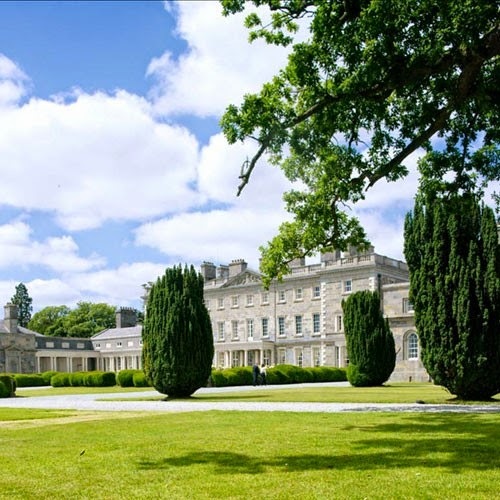 The Carton Estate first came into the ownership of the FitzGerald family shortly after Maurice FitzGerald played an active role in the capture of Dublin by the Normans in 1170 and was rewarded by being appointed Lord of Maynooth, an area covering town lands which include Carton. Carton remained in the control of the FitzGeralds until the 1920s when the 7th Duke sold his birth right to a money lender Sir Harry Mallaby Deeley in order to pay off gambling debts of £67,500. Lord Brockett purchased the house in 1949 and in 1977 his son David Nall-Cain sold the house to its present owners Lee and Mary Mallaghan, who transformed it into a luxury hotel. Day 6 – Dublin Airport & Farewell.